Luke and Anthony had been using a Square Space website for some time and were receiving very few leads. The design was fine; however the layout and content were lacking in relevance. 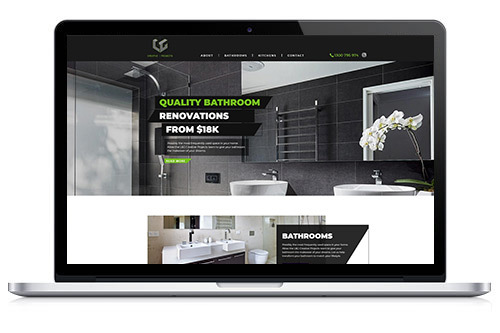 Sitting down with our designer we rebuilt their website in WordPress refocussing on their core business: Bathroom and Kitchen renovations. Also; adding much more prominence to their stunning completed projects whilst emphasising prospective users to call / contact. The new website made an immediate difference with real leads coming through via phone and email almost immediately.